You can use both lectures, it reads each depending on autotile height. return 0 if !autotile || autotile.disposed? return -1 if !autotile || autotile.disposed? return if ! @flash || @flash_data.nil? Just insert this script above main. Hrmm...not quite in the format to be database'd. Close, but not quite. Pretty interesting concept there. 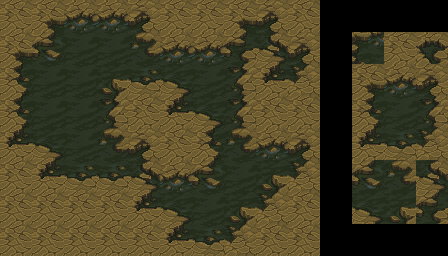 Actually, for my Advance Wars project, I'm in this dilemma where I need the autotiles to work differently. I'll take this into consideration to look at this and see if I can modify it for my needs. Make sure it matches the template. It looks like you removed some stuff. Also make sure you are using a valid Key Term. I thought I had more margin with the template, sorry. I already edited the post. EDIT: BTW, I changed it to Environment Add-on. I think it fits more. If you think different, feel free to change it back to Misc Add-on. 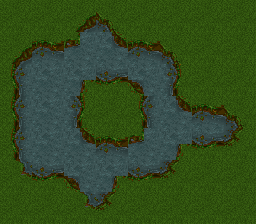 Just out of curiousity, how many people knew they could double click on an Autotile to specify a part of the autotile to be placed? 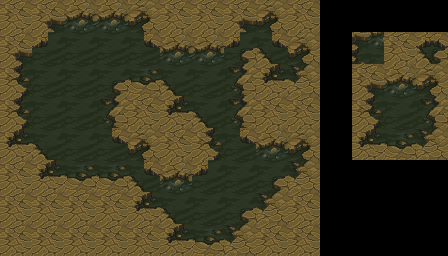 I did Also, I don't exactly understand what the difference is ... besides the obvious difference in how the auto tile graphic file itself looks. 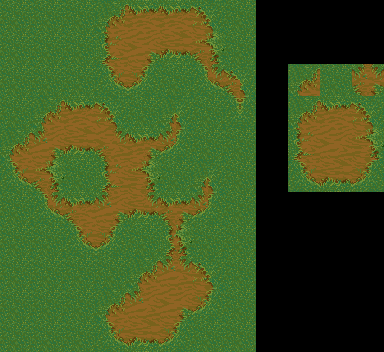 I believe what this script accomplishes is to allow autotiles to be placed next to each other and still show the auto generated auto edges instead of the center area. 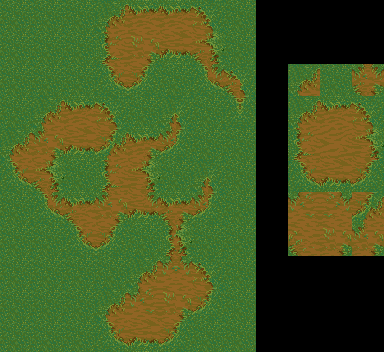 Think of it this way, put two single tile wide autotile paths down right next to each other on the same layer, and by default are merged into one. I think what this does is to allow both of those paths to remain as separate paths. That is, if I understood this script correctly. But you can't do the corners tile in a good way to make it without cuts. It's like a Graphic Designer's tool.